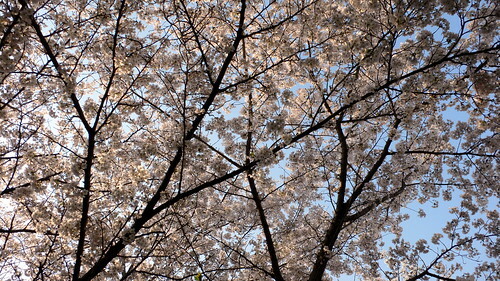 Osaka University’s Machikaneyama Campus, where I teach, is populated with cherry trees. 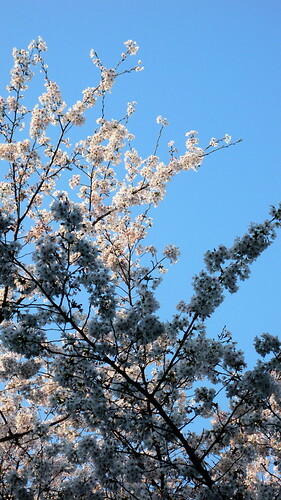 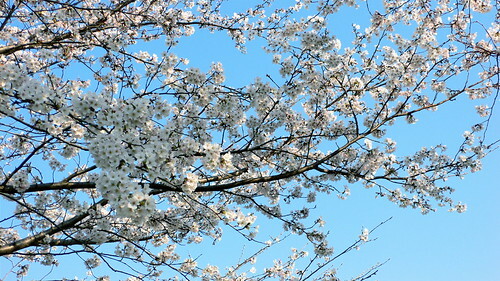 The trees blossom just before the term begins and students hold blossom-viewing parties under the trees. 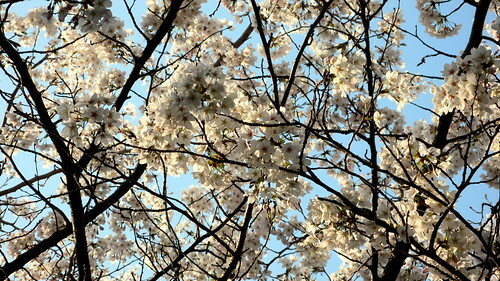 The Osaka University Graduate School of Language and Culture also holds an annual ohanami party under a tree that is the subject of at least two of the photos below. 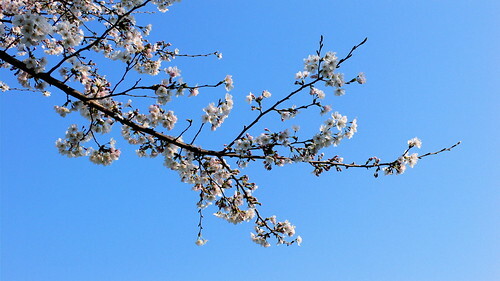 This year the weather was just perfect — warm with blue sky.